April 6 — The agreed nuclear framework negotiated between the Iranian government and an unholy alliance of imperialist bandits, in addition to China, must be put in proper perspective. Whatever the terms of the framework agreement, and whatever the ultimate outcome of the negotiations, the fact is that the imperialist powers have had to sit across the table and agree, in one form or another, to Iran’s right to a nuclear program and to lift the sanctions. This is a position Washington had refused to accept for 12 years. In fact, Washington refused to negotiate with Iran for decades. Instead, it dealt with Teheran with sanctions, attempted counterrevolution, invasion, bombing threats, vilification, attempted isolation and a long campaign to bring about economic collapse and “regime change.” This campaign has been going on without letup since day one of the Iranian Revolution and the establishment of the anti-imperialist Islamic Republic in 1979. Of course, the details of the final accord — if there is one — are all-important. But the fact that Iran is still standing as a sovereign and independent anti-imperialist country, and has forced imperialism to recognize it, is a historic testament to the will and resistance of the Iranian people. There are three basic groupings in the U.S. ruling class with regard to the negotiations. The first is the regime-change grouping that has never left the scene and was invigorated by George Bush’s “Axis of Evil” speech in 2002. In this grouping are both John Bolton, a Republican neoconservative and former U.S. ambassador to the U.N., and Lindsey Graham, a Republican senator from South Carolina. Lindsey Graham, on the other hand, wants to sanction the government to death. The second grouping is the Obama camp, which wants to sell this deal to the ruling class here on the basis of it facilitating a broad realignment in the Middle East. Iran would presumably move to become a “respectable” member of the “community of nations,” and this would weaken the resistance front of Iran, Syria, Hezbollah and Hamas. 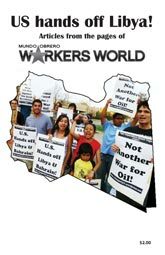 it would also bring some relief to U.S. imperialism, which is deeply mired in crisis, from Afghanistan to North Africa. This geostrategic realignment is most likely wishful thinking on the part of a besieged imperialist government unsuccessfully trying to put out fires in Afghanistan, Iraq, Syria, Yemen, Somalia, Libya, Nigeria, etc. Much of the ruling class here is skeptical about such a scenario. Then there is a third grouping. It does not believe that the anti-imperialist government of Ali Khamenei is going to help imperialism out of its dilemma. This grouping has no illusions about realignment, but wants a deal to contain Iran’s nuclear program. This middle grouping leans toward accepting the nuclear framework agreement and the future negotiations. But the relationship of forces within the camp of the political advisers outside Congress is one thing. The Congress itself, which is leaning way to the right, is another. Under ordinary circumstances this framework would most likely be accepted by the ruling class. But politics has gone so far to the right in the U.S. that there is a significant possibility that right-wing, militarist elements will scuttle the framework during or after the negotiations. Huge amounts of money are now flowing to the right-wing forces aligned with Prime Minister Benjamin Netanyahu of Israel and are dedicated to destroying the framework before any agreement can be reached. The State Department has issued a so-called Fact Sheet giving its spin on the talks. It is designed to sell the deal to the ruling class here. It also aims to lock in the Iranians to provisions they did not agree to. The State Department is treating this document as a legally binding agreement when it is in fact only the agreed-upon framework for further negotiations. The State Department Fact Sheet talks of Iran being able to engage in “limited” research. The Iranian document does not contain the word “limited.” There is also a dispute over the number of centrifuges the Iranians will retain. The dramatic negotiations and all the big business commentary have left out one monumental fact: It is atrocious that a group of imperialist countries that persist in stockpiling perhaps 10,000 nuclear weapons combined, not to mention the U.S. client state of Israel with hundreds more nuclear weapons, have the audacity to use methods of extortion — sanctions — to limit Iran’s nuclear development. But the most atrocious part of this arrangement is that the imperialists are pretending to prevent something that the U.S. government knows the Iranians are not trying to do: develop a nuclear weapon. Developing a nuclear weapon under conditions of nuclear threat and encirclement is something they have every right to do, but the government long ago deemed this unwise, unnecessary, and religiously and morally wrong. In fact, Ayatollah Ali Khamenei issued a fatwa against the development of nuclear weapons. 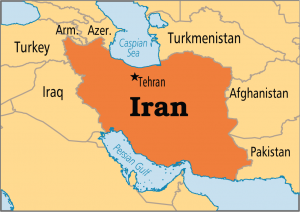 In 2005 the fatwa, which is more binding on Iranian Muslims than the Nuclear Non-Proliferation Treaty, was announced by IRNA, the Iranian news agency. It was also presented to the Board of Governors of the International Atomic Energy Agency (IAEA) on Aug. 10, 2005. The IRNA posting said, “The Leader of the Islamic Republic of Iran, Ayatollah Ali Khamenei, has issued the Fatwa that the production, stockpiling and use of nuclear weapons are forbidden under Islam and that the Islamic Republic of Iran shall never acquire these weapons.” (juancole.com/2012/04/) Khamenei has declared weapons of mass destruction un-Islamic and their use to be a sin. In fact, it is precisely because Iran is not intending to develop a weapon that the government is open to wide inspection and significant reduction of nuclear enrichment. In any negotiations between a superpower such as the U.S. and a country like Iran, there is always the fear that the smaller country will be overwhelmed and forced into dangerous concessions that compromise its sovereignty and independence. In this light it is perfectly understandable that revolutionary Marxist, working-class, anti-imperialist partisans of Iran worry about, above all, the inspections process. Iran is strong enough to give leeway on enrichment. As long as they have their peaceful nuclear program and infrastructure intact, the Iranians can afford to compromise. If, however, the imperialists are allowed to take advantage of an unlimited inspections regime to undermine the security of the country and gain military and intelligence advantages that could be used in times of conflict or for sabotage, then the question of national sovereignty comes into play. The U.S. Fact Sheet has described the right of the IAEA to get access to “suspicious sites” or investigate allegations of “covert sites or facilities” anywhere in the country. This open-ended language will hopefully be clarified by the Iranian government in such a way as to prevent the unlimited access that is implied by the State Department. The concern about dangerous or unwarranted concessions arises because the Iranian regime has a dual character. On the one hand, it is an anti-imperialist government with a clerical leadership. On the other hand, it is a capitalist regime. And despite the anti-imperialist nature of the present leadership, bourgeois moderates in Iran have significant political strength. There is an understandable fear that they may have a negative influence on the outcome of the negotiations. But so far the Iranians have stood up to a decade of threats and sanctions. It is unlikely they will compromise their sovereignty at this point. Iran was sanctioned three times by the U.N. Security Council — in 2006, 2008 and 2011. Each set of sanctions was stronger and broader than the previous one. It was further sanctioned by the U.S. Congress with drastic measures in 2010 and 2011. And it was sanctioned by the European Union in 2010 and 2012. All the sanctions were explicitly aimed at ending Iran’s enrichment program and dismantling its nuclear program. IN 2009, the U.S. fomented the so-called Green Revolution aimed at a counterrevolutionary overthrow of the government of Mahmoud Ahmadinejad and its replacement by pro-imperialist elements. That effort was defeated. During all that time the Iranian government increased its enrichment facilities, increased the percentage of enrichments, developed an anti-ballistic missile, created higher-grade uranium, and more and better centrifuges. 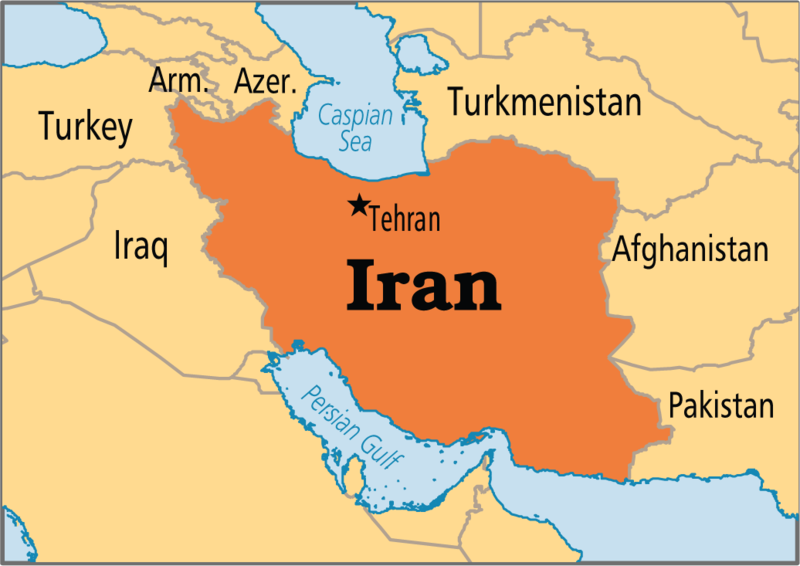 Teheran never buckled under the most extreme sanctions enforced by the entire gang of imperialist robbers. To be sure, Iran wants to be free of the sanctions. It wants normalization of relations. Iran will be forced into compromises — but hopefully on the basis of sovereignty, independence and holding imperialism at bay. It must be remembered that the background to these negotiations is not only the hardships being suffered by the Iranian people, but the growing and deepening regional crisis, from Afghanistan to North Africa, of U.S. imperialism and its partners in crime in London, Paris and Berlin — not to mention the global capitalist economic crisis. These are among the reasons that brought the imperialist side to the negotiating table.